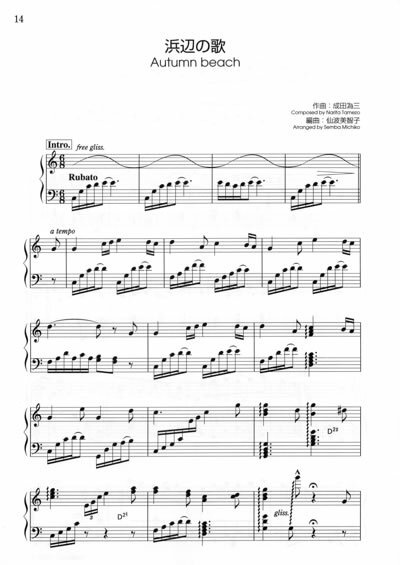 The Japanese tunes in this book are arranged for those who enjoy playing the Irish harp. Every one has been loved, sung and played for many generations. It is very special for us to play these beautiful tunes on an Irish harp, a traditional Irish musical instrument. This book is aimed at giving all those who play the Irish harp the pleasure of playing these Japanese tunes. 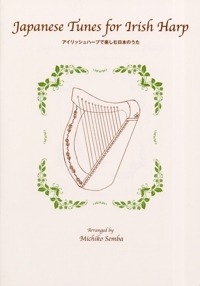 The Japanese tunes in this book are arranged for those who enjoy playing the Irish harp. Every one has loved, sung and played for many generations. It is very special for us to play these beautiful tunes on an Irish harp, a traditional Irish musical instrument. This book is aimed at giving all those who play the Irish harp the pleasure of playing these Japanese tunes. Firstly I would like to thank Masayoshi Moir of Matsuyama Gakki Ltd. for his generous help always. Special thanks to my harp students, particularly Ryoko Takahashi and Mami Yorita for their help throughout this work. I also thank my mother and sister for all their support. Lastly, I would like to thank Satomi Okazaki of the publishing department of Ongaku No Tomo Sha Co. for her kind advice. Particular thanks to Junko Murakoshi for every consideration including the complicated proofreading. Let us look up into the hazy sky as far as the eye can reach, and let us go and see the cherry blossom. The light of a spring moon melts onto a field of bright yellow rapeseed flowers. Bells sound in the twilight mist. When summer comes, the writer is reminded of Oze, a wetland area, where the short white mizubasho flowers bloom with a dreamlike scent. A sandy beach in the morning and at eventide. The scenery induces thoughts of the past. A classic doyo song, and one of Kainuma's best. Kainuma found a copy of a poem Saito had written during the war called "Stary Night". Kainuma liked the poem but wanted to change the ending. He contacted Saito, who then wrote a new ending to the poem and changed the name to "Sato No Aki" - Hometown Autumn. The song was sung live over the radio on December 24th, 1945, and received a tremendous response. The writer is reminded of the vanity of life by the timeless shining of the moon. A traditional song from Kyoto. A young girl is babysitting on a snowy day. She longs for home. This song praises life, and tells a young girl that life is passing quickly, so live and love ! A little bird is looking for his mother on a beach on a bitter cold night. The moon shines with a cold blue light. However sad we feel, let us sing and always hold our dreams, knowing that there is something bright in our hearts. A bright little star is singing and praying about quite happiness. It gives a young couple encouragement to dream. In 2004 I saw an aurora quite by chance from the aeroplane window when I was on a long distance flight. It was very mysterious, with an almost full moon and stars in the sky around it. This beautiful sight inspired me to write this piece. Publisher: Ongaku No Tomo Sha Co.